With Valentine's Day next month, we're already thinking about love! And with its being busy wedding planning season, we're thinking of the wedding parties who support those brides and grooms! Using the popular book The Five Love Languages by Dr. Gary Chapman, we can help decipher our relationships in the wedding world, and we can strengthen and better connect with our wedding party for a truly memorable and meaningful chapter of life. How do they feel loved? How can we connect? 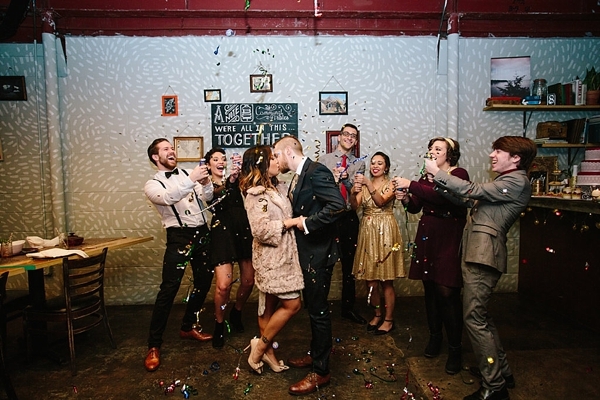 How can we improve our wedding experience by doing so? In The Five Love Languages, it is explained that how we feel loved can be bubbled down to five different types: Words of Affirmations, Acts of Service, Gifts, Quality Time, and Physical Touch. Every person "speaks" these love languages in some varying degree, but everyone has one or two primary love languages-- when they feel most loved by someone or how they show love. When you first meet someone, you can almost always pick up immediately whether or not they are an introvert or an extrovert. But it takes a little bit more time to really get to know their love language, or how they connect/open up with others. 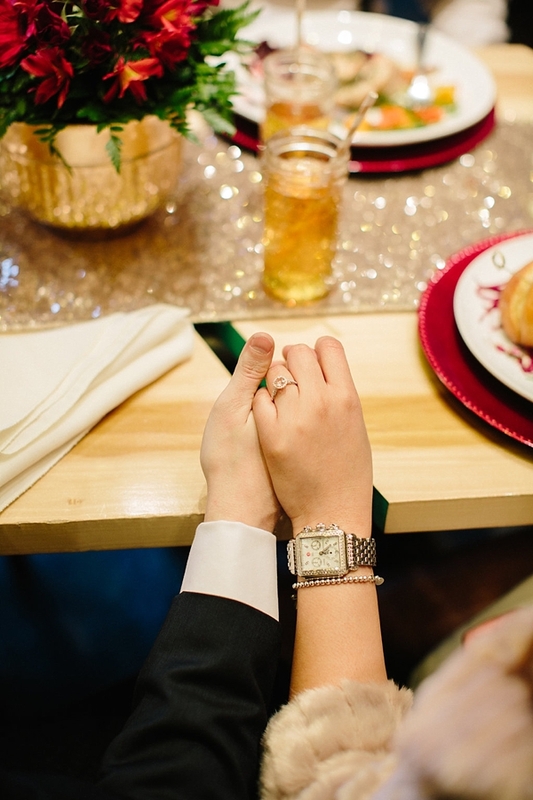 During an engagement, the stress is on. So many people are vying for your attention, you're helping orchestrate one of your life's biggest transitions, and a whole lot of details are on your shoulders. 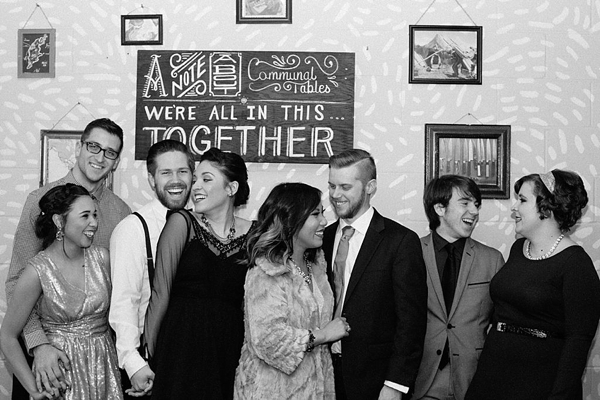 First, take a step back and look at that amazing support system you do have-- your chosen wedding team. It really couldn't be done without them. When we refocus on outwardly showing our appreciation for those loved ones, it's funny how the stress melts away and the planning can become exciting again. 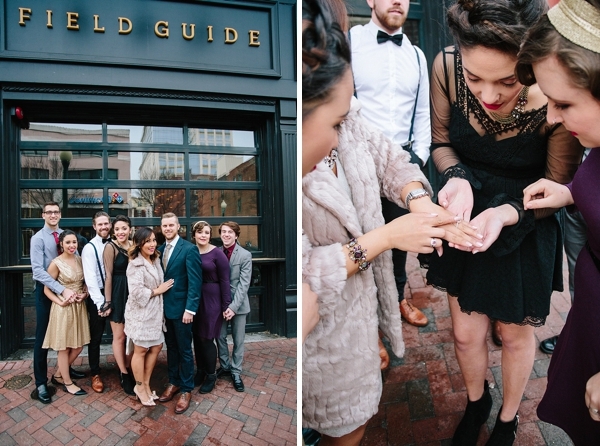 When you are genuine in learning who your wedding team is on an individual level, you find there are a multitude of ways to "speak their language" and truly make one kicktail experience from engagement to wedding day. * Send a text message with cheerful encouragement. * Post a link to their Facebook wall that reminded you of them, like a product they’d love, an outfit that would look fabulous on them. * Take a moment to write something in your wedding guestbook just for them to discover on the wedding day. * Say a special speech of thanks during the wedding reception to let them know how much you appreciate their love and support. * If possible, ask their "Will you be my bridesmaid/groomsman?" proposal in person. * Take a few extra minutes and get them their favorite morning beverage on the day of. * Ensure everyone is well-fed and hydrated all day long. * Help adjust their hair and dress (along with a "You are beautiful!" compliment) before you get into your gown. * Treat your girls to a girls' night in or out. * Send a little care package filled with some favorite get-wedding-ready goodies. * Make a card with some favorite inside jokes and send a week before the wedding. * Pay for day-of hair and makeup. * Take them out to lunch sometime during your engagement. * Go shopping together for wedding accessories. * Invite them over for a movie. * Organize a "No Wedding Talk Allowed" getaway. * Hug them every chance you see them in person. * Fuss over their wardrobe and hair details while getting ready. * Link arms during the wedding reception and let them know how much they mean to you. * Orchestrate a big ole group photo after the ceremony. What is your primary love language? How do you like to show love to people? Share in a comment below! Photography by Daytona Mae Photography. For the complete list of vendor credits and to see the whole modern chic rehearsal dinner inspiration, head over to the full feature here on Tidewater and Tulle!